Time-Lapse Photography has never been easier! Time-lapse photography is a fairly simple procedure where one frame or image is taken at predetermined times. These images are then stitched together to form a continuous video stream which gives the effect of slow motion being faster - Hence the term 'Time Lapse' photography. Time-lapse photography was first used at the beginning of the 20th Century and until very recently has been a very expensive way of filming or laborious way of filming. Time lapse Photography, in the main, was used for films about biology or science, and mostly used in events such as plants growing, flowers opening, fruit rotting or even weather patterns - which is probably the most frequently used example of time-lapse photography. More recently, It has also been employed to record the slow sequences of a building being built, or people moving around in a city or large event. Usually, even with sophisticated equipment, you would need to have an understanding of how time lapse photography actually worked along with knowledge of photography and filming to be able to take time lapse videos. Most of us have seen the recent results of superb time lapse photography on TV with shows such as 'Private Life of Plants' by David Attenborough and many other documentaries.Until only last year, the costs of time lapse photography were huge and therefore only a discussion point and not usually used as a tool. However, with the Time Lapse Project camera by UK Inspection Camera, the doors are open for anyone to have a go. A Battery powered, digital camera in a waterproof housing with a host of great features, anyone can now set about their own filming of plants growing, building projects, weddings and parties or even Science Projects. The compact camera comes with the ability to connect to your computer or TV and will even record onto an SD Card. Simply site the camera using the straps or bracket provided, select the timescale from seconds to days for the camera shot and begin recording. 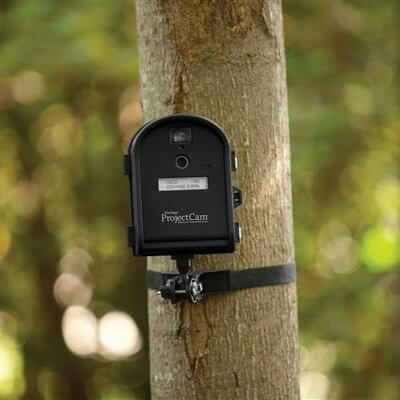 When your project is finished, the Time Lapse Project Camera simply produces a time lapse film for you. Most recently our Time-lapse Project Cameras is being used for recording weddings and receptions, Event Organisers are using them at high level to demonstrate the visitor movements and numbers.